The Batman/Superman Movie: When the Joker elicits the help of Lex Luthor in a new fiendish scheme, only the combined superpowers of Batman and Superman can save Metropolis. Will the Man of Steel and the Caped Crusader be able to foil the plot of this diabolical duo? Not if the superheroes' alter egos clash as they vie for the attention of the self-reliant Lois. 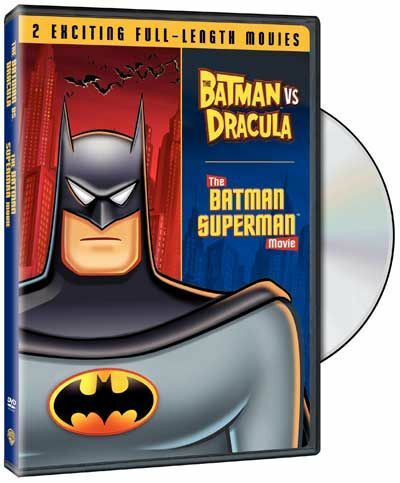 Watch the action explode as Batman and Superman clash with each other and their notorious archenemies. The Batman vs. Dracula: Gotham City is terrorized not only by recent escapees Joker and Penguin, but by the original creature of the night, Dracula! Can Batman stop the ruthless vampire before he turns everyone in the city, including The Caped Crusader, Joker and Penguin, into his mindless minions?